Hayley Parsons has been unsuccessful in her attempt to become the Welsh Rugby Union's first female board member. 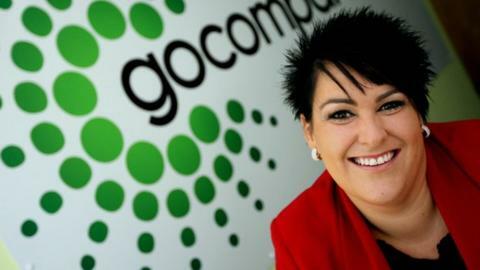 The founder of price comparison website Gocompare.com, who has sold her stake in the company for almost £44m, had said she was keen on the role. "I wanted the job at the Welsh Rugby Union," Parsons told the Gocompare.com website. "But I get the impression that a 41-year-old entrepreneur is a step too far for them at the moment." The WRU, Welsh rugby's governing body, had said it wanted to appoint female independent non-executive directors for the first time in its 134-year history after member clubs approved the idea. Parsons has won several awards since founding Gocompare.com in 2006, including Welsh Woman in Innovation in 2008, Woman in Business from the South Wales Chamber of Commerce Business Awards in 2009, and the business leader category in the Inspire Wales Awards in 2010. She was awarded an OBE for services to the economy in 2012, but it seems that for now a position with the WRU will remain off her CV. "I would have loved that role because I feel like they're at a crucial stage now, where they need to embrace change," Parsons said. "It feels like it's the right time for them to move on. With some real drive and passion and change in there they can really move things forward - I would have loved the opportunity to be the driving force and part of that. "I wanted to cut through the politics and do the right thing for the customers - the fans - and the clubs in the same way we do at Gocompare.com. "The customer should be the first thing you look at, with rugby it should be the same. They're the ones that pay their money and go to watch. Isn't that where the focus should be?" The WRU is also seeking a replacement for its outgoing chief executive, Roger Lewis, who will be the new chairman of Cardiff Airport when he steps down after the 2015 Rugby World Cup. Despite the knock-back, Parsons said she has not yet given up hope of having a role with the WRU in the future. "I still believe that job has my name written all over it," she added. "If they came back to me at any time I would be there for them and I would absolutely love to do it. But I hope one day they'll come knocking on my door."